TubeNet • View topic - Sponsored Artists? I've noticed there are some Sponsored/endorsed Musicians surprisingly signing on with companies I would not have suspected. I would think its because their instruments are now offering the same quality and sound of more Mainstream brands? I could be wrong but if you as a professional were going to put your name and face behind a brand it would be something you believed in. I say all this knowing some manufactures don't offer any incentives to players. We all know for example Steven Mead is a Besson artist and Demondrae Thurman is a Miraphone artist and yes these are great brands of instruments. I doubt that anyone would be interested in discussing their personal business arrangements with manufacturers, but "artist endorsers" - to my knowledge - are *not given free instruments, and not even the most high-profile of them who play instruments with models "bearing" their names. *I guess many who post either don't read previous posts, or don't put much stock in them. Last edited by bloke on Thu Apr 11, 2019 9:38 am, edited 1 time in total. Unfortunately, the quality of an instrument is no longer a concern for some individuals. They are happy to barter their name for free instruments and paid expenses. At the end of the day can you faithfully put your heart into your work? Well why not? They are consumers just like you- they drive a Hyndai, eat at burger king which means a meal that consists of styrofoam and throwaway paper, perfect for the consumer throwaway society of which they live in- just like the food they eat, car they drive and tuba they play! Hey- its not their fault! Its about forty years of "how much can I get for a dollar" hamburger commercials that have been drummed into them as they take their television's advice. After hearing me play, I have had several companies offer me big bucks not to play their instruments. 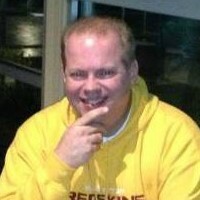 I have a friend, band director, that has an endorsement deal with a manufacturer. He was given a substantial discount on his instrument but not free. He doesn't even like the instrument and owns another brand as his personal horn. The only reason he still endorses it is that they pay him every time he does a clinic somewhere. It doesn't even have to be a clinic on the instrument as he does most of his clinics as a band director. 99% of the time, and probably more like 99.9% of the time, being a such-and-such artist means absolutely nothing. I deal with people all the time that come in to work with my orchestra that tell me, either directly or via their technical riders, that they are "endorsed" or are an "artist" for such and such brand and therefore they need such and such only with no exceptions. Almost every time these "artist" demand the most outlandish, esoteric, and unavailable equipment you could imagine. When I report back that I am not able to source item XYZ and ask for their contact person at such-and-such company's artist services division, I get no response or they respond with "call them up and tell them I'm playing - they'll take care of it." I am not saying that these people are lying to me or making up the entire "endorsed" or "artist" status thing, but I cannot even begin to tell you how many times I've called artist services for major companies only to be told that so-and-so is either not an "artist" or that "artist services doesn't do that - we sent them a t-shirt and some stickers." Then I have to go back to them and explain that "according to the company, they aren't going to do anything, but you're welcome to speak with them directly." I've never had anyone take me up on that. I can count on one hand the number of artists I've encountered that are really, truly endorsed to the point that they are getting instruments provided...it's that rare. 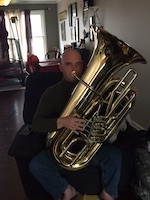 I don't know what Eastman and some of the other tuba companies are doing with their endorsements/sponsorship's/artists, but in my experience with others, it often doesn't amount to much at all. but (as a couple of rare exceptions) Carl H. Severinsen (particularly, forty years ago) pro'lly was given some trumpets...and I believe the Canadian Brass (brass quintet) - in the past - may have been handed some instruments. Very interesting, Tom! Thanks for sharing that! My assumption has always been that it's just advertising with a celebrity endorsement, like any other product. The player gets to have their name said more times in more places, and that's positive exposure that keeps them relevant and present (a perfect tuba player that nobody ever knows about does the world no good). The company gets to have their brand associated with high-level players -- they benefit greatly from people's assumptions and self-contrived stories about the association between the company and the player. People draw their own conclusions, and make their own choices. Advertising relies upon this. Not lying, but not providing more information than necessary. There's just enough involved on both sides to make the relationship mutually beneficial ENOUGH to maintain the association. All that said... the tuba world largely consists of real people, who are genuine, honest, and helpful. I've heard people say before things like "Ok, I know I'm listed as a brand ABC artist, but even without that, let me tell you that these things are legit." That kind of information I believe, far more than seeing a printed advertisement that features a player standing next to a tuba at a photo shoot. I'm with Buffet Crampon (Besson, B&S, MW) they do NOT give us free instruments. Having a pipeline helps to set up events for students to try instruments. I think I can get some kind of discount on new instruments. I've never tried to use it so cannot confirm. Occasionally, they'll chip in for things like playing at a conference for playing on and recommending their instruments. It's a pretty good deal. Most everyone (who plays some gigs and teaches some kids) considers themselves an "artist"...so - after all the "artists" are given free instruments and the manufacturer is bankrupted, then what? bloke "me...?? I consider 'me playing someone's else written-down sheet music and imitating previous performances of it' to be a 'craft', but that really isn't the topic, is it?" I know two people who have been compensated "Artists" for a particular company / brand / organization. In one case, the person was given the ability to buy the instrument(s) of his choice at cost, but he was also going to clinic on behalf of that product/organizations behalf and get paid for his time and expenses to do so. My understanding is the idea was to get the name of this particular product/organization more prominence, essentially become a marketing tool for that product/organization. The other person could get instruments at a discount, so if his student of theirs bought one at regular price they basically got a kickback. Agreements vary - I imagine very few are alike, since anything can be negotiated (in theory). I have one friend who was given a bass trombone. They are a very high-profile person (as much as bass trombonists are, which really isn't, is it? ), and - prior to having been given that instrument - their ensemble spent money to travel (far) to where that instrument was made, and brought extraordinary attention to that boutique manufacturer who - during those years - was pushing to become more internationally known. mikebmiller wrote: After hearing me play, I have had several companies offer me big bucks not to play their instruments. I’m still waiting for my cease and desist letter. That will never happen as we are honored that you are a Mack Artist. Did the check actually clear? That old yacht rock song by Orleans, "Still the One", was used on Burger King commercials AND Weight Watcher commercials at the same time. The Venn Diagram containing advertising, the free market, and integrity DOES overlap, albeit briefly. You made me pay cash. mctuba1 wrote: That will never happen as we are honored that you are a Mack Artist. Did the check actually clear? Best comedy I've seen all day. Thanks guys. Thanks for all the replies, I wasn't asking for anyone to disclose their personal relationships with any company. I just saw alot of "X Brand Artists" and was curious. A not-uncommon "artist" relationship is for an "artist" ("artiste"...??) to be allowed to purchase their signature model (or the one that they play) at-or-near the customary dealer cost. They may-or-may-not be offered an opportunity to purchase additional ones. > the higher-end tuba customer clientele is limited, and flooding the market with a bunch of higher-end model instruments retailed out at dealer cost is going to discourage dealers from carrying those instruments. Well I will totally agree that there are various levels of "endorsing artist". In my rock days playing bass we toured, put out albums, and had a few "endorsements". Some of them were decent like dealer pricing and some were better but honestly very few get the free stuff and tour support because that's still the manufacturer's market. And I do think that the band instrument world is a lot more conservative with the amounts they provide to their artists than the thrash and bash crowd. For me it was more about resume building to say I was an endorsing artist... But at the same time one year most all my gear was stolen and my artist reps replaced some of my gear free. That was totally solid of them!